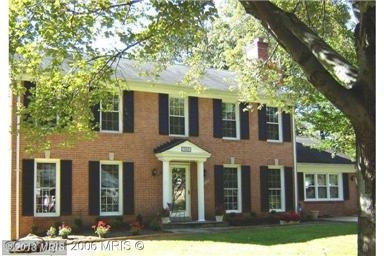 Foreclosures and distressed sales in Bethesda, MD: opportunity knocks! Bargains in Bethesda, MD are within your reach. The rumors are true – there are more buyers than there are homes to sell, but with my expert assistance, you can navigate through the real estate jungle and find an amazing deal on a beautiful home. You are not necessarily priced out of the market.Short Sales are a great way for the buyer with patience to get an awesome deal on a home. Have a look at more short sales, foreclosures, and REO/bank-owned properties in Bethesda here. These listings are at my fingertips and can be at yours, too. Don’t mistake your late-night searches on third-party real estate websites for a truly up-to-the-minute and accurate search. From eager buyers to investors with deep pockets, Bethesda bargains are snatched up quickly. As your partner in real estate, I will watch the market and find the property that meets your unique needs, budget, and purchase timeframe. Let’s make an appointment and see some homes! Call me today and we will schedule times for you to see the inside of these properties. Homeownership in Bethesda, MD is within your reach. I look forward to your call! Spring break for MCPS is April 14-21, so now is the time to start planning. There are various activities and camps in Bethesda worth checking out. For $48-$60 per day, you can send your kids to Adventure Theatre MTC at Glen Echo Park. Kids will get a full day of theatrical activities, and a Pirate’s Booty snack! Imagination Stage offers morning, afternoons, or full day camps in Drama, Dance, Filmmaking,or a combination of these. Want your child to spend time with Mother Nature? Check out Audubon Naturalist Society spring break camp. Campers will spend time outdoors discovering frog calls, Salamander eggs, making crafts and listening to stories. Register online beginning January 25. For ideas from ice skating to various sports, check out MontgomeryParks.org. It’s a good idea to start your search now as these programs tend to fill up quickly! December 2013 Real Estate Market Update for Bethesda MD & Surrounding Areas. Find out how many homes were sold compared to last month and last year. See how long homes were on the market, and if prices are increasing. Volunteer opportunities in Bethesda and areas close by are abundant! Maybe your New Year’s resolutions includes finding a nonprofit to donate your time to, or maybe you want to become a child advocate. VolunteerMatch.org is an excellent resource to use when trying to find that special something to satisfy your need to get involved in the community. You can search by causes, whether it’s local or virtual, if it’s appropriate for kids to volunteer, etc. You can also search the area hospitals and inquire if they need assistance as well. If you are more the literary type, check out the local libraries for programs they offer whether helping sort books, or becoming a tutor to a student learning to speak and read English. There is something out there for you, as well as someone that would appreciate your time and efforts! If you are planning to spend New Year’s Eve in Bethesda, you have quite the assortment of options. From a Masquerade Ball, to a Sushi Buffet, to many nightclub options, there are also a variety of things to do in Bethesda at different price points. You want to start of the New Year safely, so the Washington Regional Alcohol Program (WRAP) is offering free cab rides on New Year’s Eve from 10pm to 6am. Participants must be 21 or older, and callers are responsible for fare above the $30 subsidized rate. Call 1-800-200-8294 (TAXI). Please note you cannot reserve a taxi ahead of time. Dana and the Global Advantage Team wish you and your family a healthy, happy and prosperous New Year!! Nestled between Old Georgetown Road and the Capital Beltway, one will find the Alta Vista area of Bethesda. Alta Vista is composed of two neighborhoods inside the Beltway (Alta Vista and Alta Vista Manor), and one neighborhood just outside the Beltway (Alta Vista Gardens). There is a diverse range of housing options, from large single-family homes to townhouses. Many of the large homes are 1950s housing stock, which have been replaced by newer and larger homes since the early 2000s. The residents of Alta Vista are highly educated, and many hold executive level positions at local businesses in the area. As a result, the area is considered upper-middle class to upper class economically speaking. Property values in the area are historically stable due to the close proximity of the National Institute of Health campus, a local shopping center, and the YMCA. The Wildwood Shopping Center features a wide variety of stores and restaurants; there is something to please everyone in the family here! The local YMCA offers a variety of fitness and health groups and classes suitable for any age. Nearby, there are a number of parks including Maplewood Alta Vista Park and North Chevy Chase Park. Alta Vista is served by a well-rated school district, including Wyngate Elementary, Tilden Middle School, and Walter Johnson High. The area is easily accessible from the Metro, the Capital Beltway, or the Washington National Pike, so travel time isn’t an issue for commuters. Alta Vista has a high rate of residents that bicycle to work – 4.3% of residents. That’s more cyclists than most neighborhoods of the United States. Alta Vista is a beautiful neighborhood of Bethesda. It boasts a simple commute, a wealth of activities for families, and large modern homes. If you are considering a move to an upscale neighborhood with lots of character, be sure to have a look at the current listings in Alta Vista. Also, look at these new listings for Bethesda single family homes. Bethesda is one of the busiest markets in the nation right now, so if you’re interested don’t delay. Contact Dana and the Global Advantage Team for more information on these properties and more today! It’s not too late to get your 2013 picture taken with Santa at the Mazza Gallerie this weekend! He will be there from 10-6 both days. While you’re at it, on Sunday stop by the local Bethesda Central Farm Market for some fresh local foods! You can enjoy wine tastings, chef demos, and a large selection of fresh foods! One of Bethesda’s vibrant neighborhoods just outside the Capital Beltway, Wildwood Manor is close to the Wildwood Shopping Center and the Grosvenor Metro Station, making it convenient to just about everywhere. It’s a culturally diverse neighborhood, and approximately 40% of the adult population holds an advanced degree. In fact, this neighborhood sees a high percentage of its adult residents employed as executives, managers, and professionals. Many of the homes in Wildwood Manor are contemporary in style. The original ramblers and split foyer homes in the neighborhood offer excellent opportunities for eclectic updates and remodels that tap into a new homeowner’s contemporary insights. Wildwood Manor offers its hardworking residents many opportunities to relax and enjoy life. A favorite diversion in the area is the Wildwood Manor Pool. It’s a magnet for neighborhood residents with swimming lessons, water aerobics, and its own swim team – go Wombats! Another outdoor venue is the 12.8-acre Fleming Park, featuring a shaded playground and picnic area with pavilion along with softball and baseball fields and tennis courts. People fall in love with Wildwood Manor for its beautiful real estate and vibrant community. If you’re looking to make Wildwood Manor your next home, keep an eye out for new listings. To view new listings for single family homes in all of Bethesda, have a look at these listings posted in the last 30 days. To get the best deal on your new home in Bethesda, contact Dana and the Global Advantage Team today for a personalized property search.